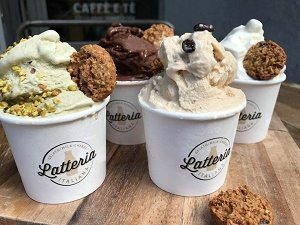 Latteria Italiana, a Miami-based Italian restaurant known for their high-quality Italian Gelato, is all set to kick start their Gelato Chef Series. 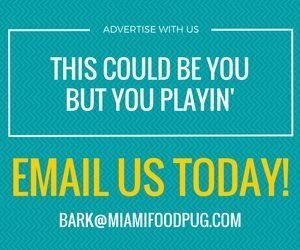 As part of this unique initiative, different star chefs from Miami will create their own exclusive flavors to be featured by Latteria Italiana for a period of two weeks. The chefs will also sell these flavors at their respective restaurants for the same two-week period. A brainchild of four young Milanese friends, Latteria Italiana was created to provide an informal and familiar environment that resembles a typical Italian milk shop of the 1950s. Their high-quality Italian Gelato is made fresh every day using authentic ingredients. Some of their most popular flavors include Salt and Pepper Pistachio, Nocciola, and Banana Salty Caramel. The restaurant’s new Gelato Chef Series is an excellent opportunity for the Gelato lovers in the city to try out the exclusive flavors created by their favorite chefs. The Gelato Chef Series starts February 10 and runs through the end of June. Latteria Italiana has already partnered with MC Kitchen for the first installment of the series that will take place February 10-24. Located in Miami’s Design District, MC Kitchen is a popular destination for modern Italian cuisines. 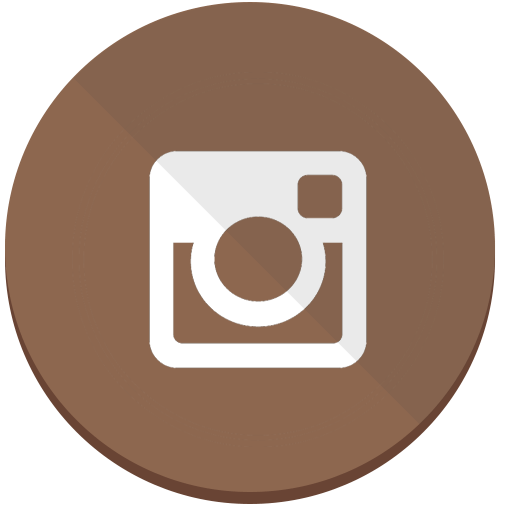 The restaurant is popular for their seasonal dishes made from ingredients selected on the basis of quality, harvest maturity, and farming integrity. As the series continues, Latteria Italiana is expected to announce partnerships with many other popular eateries across the city. To find out more about Latteria Italiana and the Gelato Chef Series, please visit http://www.latteriaitaliana.com. 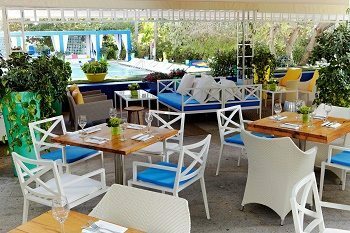 What better way to unwind after a long week than a boozy Sunday brunch at South Beach’s most luxurious playground? Shore Club’s Brunch at Terrazza offers a decadent Sunday buffet ($44) that includes unlimited bellinis, sangrias, mimosas and a full make-your-own bloody mary bar with all the fixings. Munch on an array of small plates, a full omelet station, wood oven pizzas, a charcuterie and cheese station and much more! This Sunday funday brunch has everything you have been looking for to end your weekend on the right note al fresco. Vibrantly colored and pulling influences from Jardin Majorelle in Marrakech, Shore Club offers a lush and serene oasis from the bustle of South Beach. 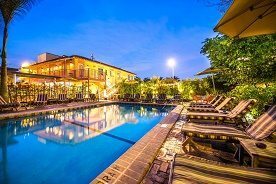 Valet parking is offered at a discounted rate of $15. Available 7 days a week from 6pm – 8pm, the new neighborhood watering hole features selections of its acclaimed cocktail menu with discounted prices of $7 cocktails, $5 beers, $7 wines and $10 Moët & Chandon champagne. Available at the bar, guests are encouraged to pair their drinks with select signature bites priced at $5 including Crispy Yuca, Chicken Skewers, Edamame and DÔA Chicken Wings, as they revisit daily to experience new daily selections. 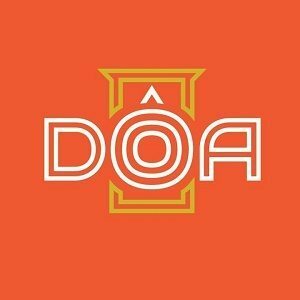 DÔA is located at 2000 Collins Ave, Miami Beach, FL 33131. 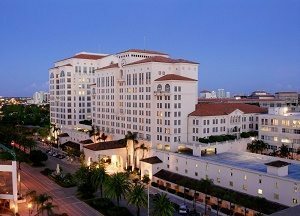 Turnberry Isle Miami announced today the opening of Starbucks within the resort. The storefront is situated alongside the Turnberry Isle entryway adjacent to âme Spa & Wellness Collective. This opening of the coffee house is in conjunction with the opening of the resort’s new spa, âme, and is the result of an increasing demand for space where guests of the resort and spa as well as locals of Aventura can enjoy quality coffee and select food and beverages in a relaxing environment. 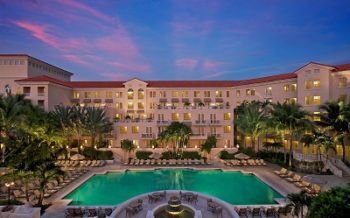 Known for its timeless architecture, Turnberry Isle has constructed the store to reflect the exterior designs of the oasis-inspired resort. The Starbucks store at Turnberry Isle offers customers a destination to relax, recharge, and connect in one of Miami’s most finest areas while enjoying a handcrafted Starbucks signature brew. 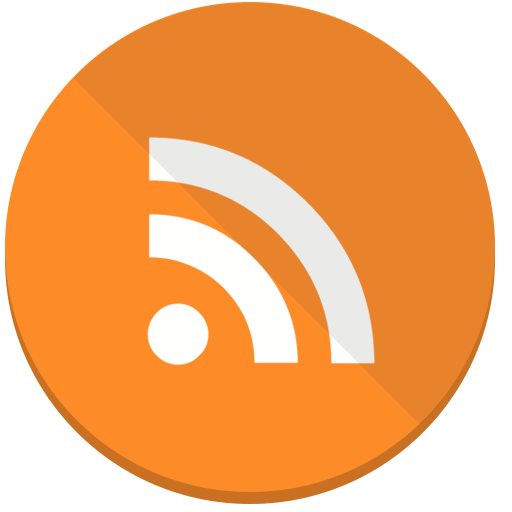 Wifi is available to customers of the store. The Turnberry Isle Starbucks location is open 6 AM – 10 PM daily. Starbucks at Turnberry Isle Miami is located 19999 West Country Club Drive in Aventura, Florida. For more information, please visit turnberryislemiami.com. Mignonette Uptown is firing up the grill at The Freehand for a Presidents Day BBQ on Sunday, February 19th. As star chefs and foodies start pouring into Miami for the South Beach Wine & Food Festival, The Freehand and Mignonette are spreading the local love. Chef de cuisine Anthony Ciancio and Freehand chef Jimmy Lebron are reuniting after opening 27 Restaurant together three years ago. Grilled oysters, fire concentrating their briny flavor, are Ciancio’s barbecue go-to. Chef will grill up his namesake dish off the Mignonette Uptown menu, poolside. “I prefer to use West Coast oysters that are plumper and creamier and better suited for the grill,” Ciancio explains. Oysters Ciancio are typically baked with a hearty spoonful of chef’s secret sauce: tallow, garlic, shallots and white miso. When grilling oysters, there is no shucking necessary. The heat pops the bivalve open quickly, and then speed and finesse are crucial. Chef removes the oyster from the grill and takes off the top shell, being careful not to spill any of the oyster’s natural liquor. The sauce is spooned into the oyster and placed back on the grill for a few more seconds of cooking, followed immediately by a squeeze of lemon and they’re ready to eat! The grills light up at 2 PM, join us for the ultimate SOBEWFF pregame and seafood barbecue! 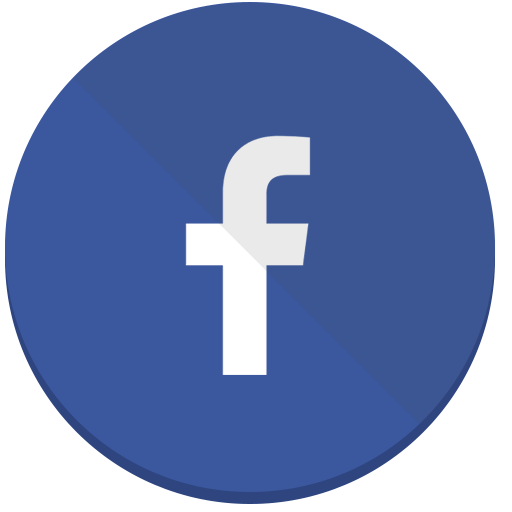 The event is not ticketed; however, guests are encouraged to arrive early, because food will be sold on a first come, first served basis. 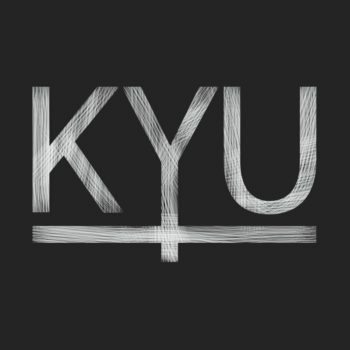 As a token of appreciation to the community that has been incredibly supportive, each guest dining at KYU on Feb. 15, 2017 is welcome to join the one-year birthday celebration, which will include a complimentary slice of Mom’s Coconut Cake, KYU’s signature dessert based on Lewis’ mother’s own recipe, and a glass of bubbly. At 11 p.m., Lewis and general manager Steven Haigh will toast to an incredible first year — and cheers to many more! It’s hard to believe that it’s been almost a full year since KYU opened on Feb. 15, 2016. In that time, chef Michael Lewis has received great praise from locals and visitors alike for his unique style combining elements of Asian and central Texan barbecue and KYU has become a new staple of Wynwood’s vibrant dining scene. 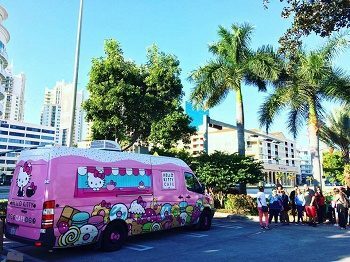 The hugely popular Hello Kitty Cafe Truck will be returning to Miami, making an appearance at Dolphin Mall on Saturday, February 18th. The Hello Kitty Cafe Truck is a mobile vehicle of cuteness that offers a delicious array of Hello Kitty sweets and special goodies to fans of all ages; it has been rolling up to festivals & events across the U.S. since its official debut atHello Kitty Con in October 2014. Fans can follow the Hello Kitty Cafe Truck on Facebook, Instagram, and Twitter to stay updated about upcoming appearances and where to find these adorable Hello Kitty treats. There are many health benefits that come from eating a vegan or vegetarian diet. But eating healthy doesn’t mean you can’t enjoy a delicious meal from time to time. 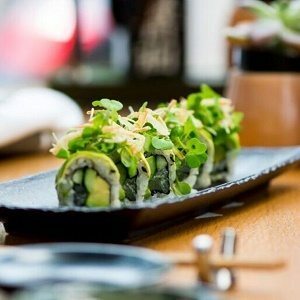 Sushi Garage, Sunset Harbour’s traditional Japanese restaurant, offers a variety of vegan and vegetarian options for its diners. Vegans can choose from the Bok Choy, Truffle Shitake Nigiri, Lemon Vegetarian Roll (pictured below), Kappa Roll, Vegetable Roll, Shishito or the Watercress Salad with no dressing to name a few. Vegetarians can eat all the above plus the Vegetable Tempura and Avocado Tempura. Sushi Garage honors true Japanese culinary philosophy by utilizing the freshest and finest ingredients, with bold and innovative takes on traditional classics. Making sure each diner gets the full Sushi Garage experience from start to finish. Coral Gables’ first-ever Beer Garden is happening next Wednesday, February 15th at the Hyatt Regency Coral Gables from 5pm-7pm. The free event will take place in the open-air courtyard adjacent to the newly renovated Two Sisters restaurant, featuring complementary small bites & local brews from Biscayne Bay Brewing Co., Concrete Beach Brewery, The TANK Brewing Co., and MIA Beer Co. Interested in attending? 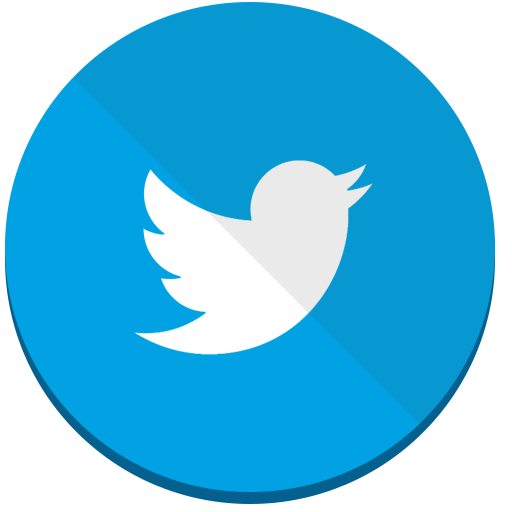 RSVP to rsvp@vinecommunicationsinc.com. 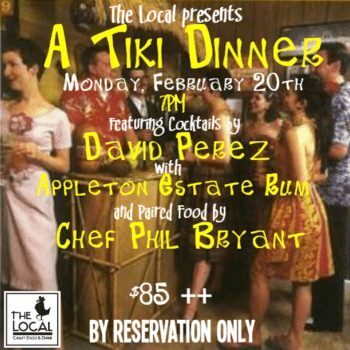 Join The Local Craft Food & Drink on Monday, February 20th at 7pm for an unforgettable tiki-inspired dinner prepared by Chef Phil Bryant and a cocktail pairing by David Perez featuring Appleton Estate Rum. Menu highlights include pigeon pea and manchego croquette with onion escabeche and mango mojo, Key West pink shrimp with pork belly mofongo and a consomme of ham hock and shell fish, and jerk spiced pressed quail with black rice, peanuts, lime and a rum glaze. Cost is $85++ per person. Space is limited for the 4-course meal; call 305-648-5687 for reservations. 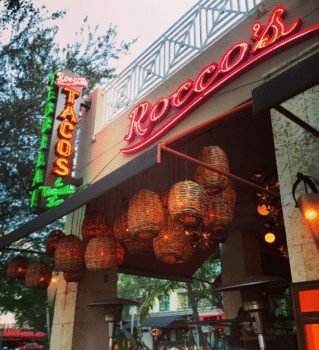 Save your George Washingtons for bottomless Mimosas and Bloody Mary’s this President’s Day at Rocco’s Tacos & Tequila Bar. The Benedict Aztec ($13) poached eggs in masa sopes, pork cochinitas, salsa rojo, spinach, chipotle crema, and mexican potatoes is the perfect addition for this holiday boozy brunch. Sweeten up your meal with a Pan Dulce Compota Manzana ($13) Mexican style French toast with bacon, agave and maple syrup, apple compote, and sweet sour cream. This extended brunch holiday special will be available at all South Florida Rocco’s Tacos locations.